Are you looking for a vehicle that will add a little luxury to your next family adventure? 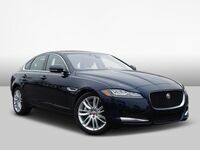 Look no further than the Jaguar XF Sportbrake Wagon at Barrett Jaguar. Do not let the “wagon” part fool you – this is not your grandmother’s woody wagon. With an athletic platform, power-packed engine options and a smorgasbord of luxury features, the 2019 Jaguar XF Sportbrake in San Antonio, TX will check all the boxes. When you choose the 2019 Jaguar XF Sportbrake, your decision will be simple with two well-equipped, family-friendly trim levels to choose from – Prestige and S – that will start at $64,575. Tailor-made for the family on the go, the Jaguar XF Sportbrake features a spacious cabin that makes room for five passengers and adds 31.7 cubic feet of cargo space behind the second-row seats. Families that need more cargo space can lay the 40/20/40 split-folding rear seats flat to expand the cargo area to 69.7 cubic feet. What Are the 2019 Jaguar XF Sportbrake Engine Specs and Features? Track-tuned performance is a hallmark of the Jaguar brand and the 2019 Jaguar XF Sportbrake in San Antonio, TX is no exception to the rule. 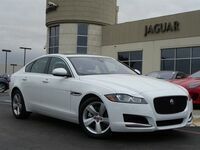 Entry-level Jaguar XF Sportbrake Prestige editions employ a 296-horsepower 2.0-liter turbocharged four-cylinder power core that is married to an eight-speed automatic transmission to achieve 24 mpg combined. An innovative all-wheel drive system is standard across the board to upgrade performance. Drivers who want to add a little excitement to their day-to-day commute can opt for the 2019 Jaguar XF Sportbrake S trim level. Armed with a 380-horsepower 3.0-liter supercharged V-6 engine that manufactures 332 pound-feet of torque, the XF Sportbrake S takes performance to the next level. Paired with the eight-speed automatic gearbox and all-wheel drive, the XF Sportbrake S will sprint from zero to 60 mph in just 5.3 seconds. Jaguar XF Sportbrake Prestige – A perfect combination of performance, luxury and family-friendly features, the XF Sportbrake Prestige possesses a long list of features. Highlights of the Jaguar XF Sportbrake Prestige spec sheet include 19-inch alloy wheels, premium full-grain leather upholstery, heated front seats, a heated steering wheel, a power sunroof, a power liftgate, an 11-speaker Meridian™ sound system and a 10-inch Jaguar InControl Touch™ touchscreen infotainment system. Jaguar XF Sportbrake S – When you want to amp up performance and luxury, the Jaguar XF Sportbrake S is a fan favorite that will improve on the stellar foundation provided by the XF Sportbrake Prestige with style and performance upgrades. An upgrade to the XF Sportbrake S will add 20-inch alloy wheels, an adaptive air suspension system, an aerodynamic and stylish XF Sportbrake S Body Kit and a one-of-a-kind Jaguar XF Sportbrake S interior package.